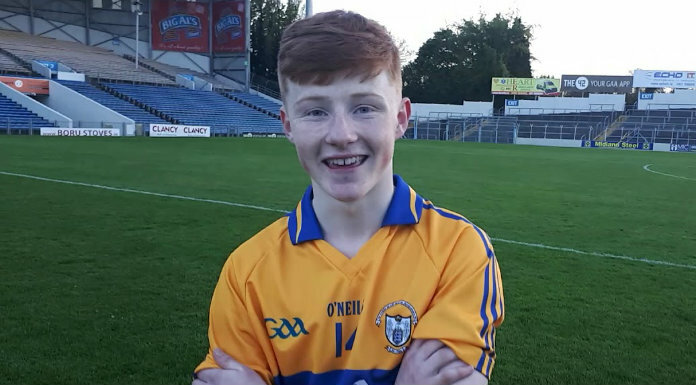 Clare’s minor football captain thinks their attacking unit can deliver against Tipperary in the Munster championship tomorrow evening. Shane Meehan struck six points against Limerick last week and also helped himself to five scores when they beat the Premier County last year. Seven players were among the scorers for Clare in their opener but Tipperary were equally deadly hitting 4-13 against Waterford. The Banner’s Meehan says this game will be important. Throw-in at Cusack Park on Wednesday is 6.45pm and we’ll have live on air updates here on Clare FM and full online coverage on our website clare.fm.